Man oh man, what a week. I started this month with the best of intentions for a great January: exercise, healthy eating, and wearing big girl outfits to work. Of course all that went to the wayside by Tuesday at 6:00 pm. Hello hash browns for dinner with a side of Krispy Kreme doughnuts and Skittles for dessert. No joke. And don’t even get me started on Alan Rickman… I’m looking forward to recovering with Mil tonight and then getting glammed up for the opening night of Marriage of Figaro tomorrow. Hope you have a good weekend and enjoy this week’s roundup. 1. Embroidery and cross-stitch are having a comeback. Get a head start on this up and coming trend by following these embroidery Instagram accounts. Trust me, they’re beautiful and much cooler than they sound! 2. Sydney Loves Fashion is one of my favorite local fashion blogs. 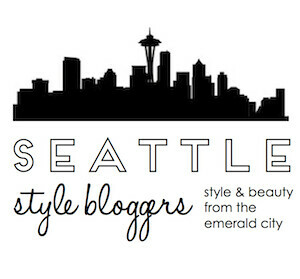 I particularly love her Seattle shopping guide series. This week she came out with her guide to Capitol Hill, a must visit neighborhood for all you out of towners. 3. As alluded to above, I’ve been off my outfit game recently. I love the ideas from this Career Girl Daily article on How to be the Editor in Chief of Your Own Wardrobe. Keeping an editorial calendar is something I’m seriously considering. After I moved towards a seasonal capsule wardrobe, I’ve found myself wearing the same four outfits on repeat. 4. Online dating is a mystery to me. I somehow bypassed the phenomenon of Tinder, Match, and OkCupid. Everyone tells me I’m better off not knowing, but a very small part of me wonders what it’s like to puzzle through the question: how to dress for a Tinder first date? 5. This recipe from How Sweet Eats is destined for Mil’s mouth: Cheese Enchiladas of My Dreams.